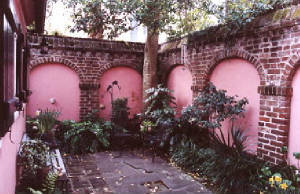 Housed in the oldest standing tavern building in the South, (circa 1690), the Pink House Gallery features the art work of Alice Stewart Grimsley, Nancy Wycoff Rushing, and Detta Cutting Zimmerman. 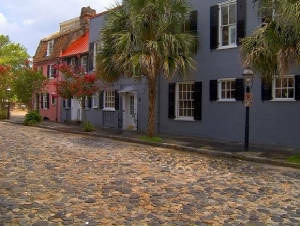 We offer landscapes, florals, Charleston scenes, and wildlife in both originals and fine art reproductions. 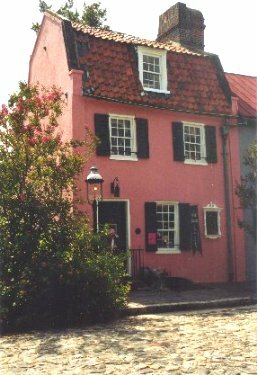 The Pink House is also the exclusive venue for the traditional plantation prints of the late Ravenel Gaillard, the antique photographs of well known turn of the century photographer George W. Johnson, and the paintings and prints of Florida artist Anne Clanton Thomas. 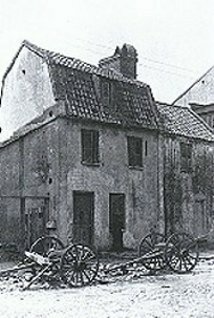 The prints and photography of former artist/partner Bruce W. Krucke, and the prints of the late Alexandria H. Bennington are still available in the gallery. NEW! 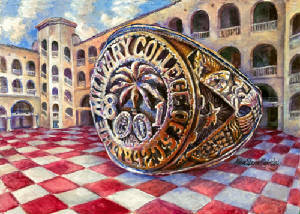 Citadel class ring print. Click here to see! 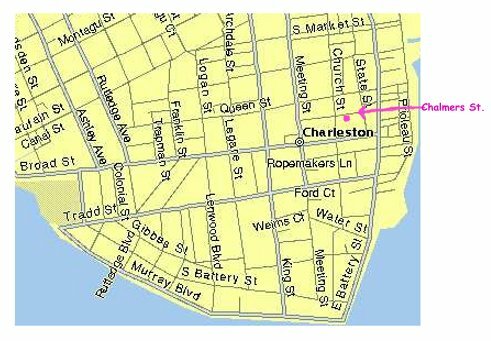 For information on the other galleries in the French Quarter Gallery Association, please click here.